Our project experience and extensive range of hardware systems including decorative and functional hardware for doors and furniture, LED lighting, sliding door systems and advanced access control systems provide unique and valuable support to decision makers of projects of all sizes. ■ More than 100,000 furniture hardware products. 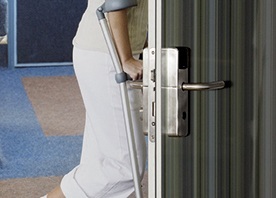 We offer solutons for the Pharmacy and office area of healthcare facilities. Lockers and doors can be secured using our Dialock electronic control systems. 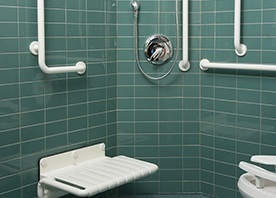 ADA compliant hinged shower seats, grab bars and adjustable shower head holders available in many color options. Experienced staff provide expert consulting on system selection and planning. Made to order options are designed to meet the custom requirements of the healthcare market.